Mr. Sathit Limpongpan, Permanent Secretary of Ministry of Finance, gave a special interview to the press after the Strong Thailand Investment Project Overseeing Committee Meeting that the meeting will propose 400 projects under the strong Thailand investment plan worth 200 billion baht to the next cabinet meeting. The 400 projects, involving a total investment of 200 billion baht, can begin procurement and contractor bidding procedures immediately after formal approval by the cabinet. 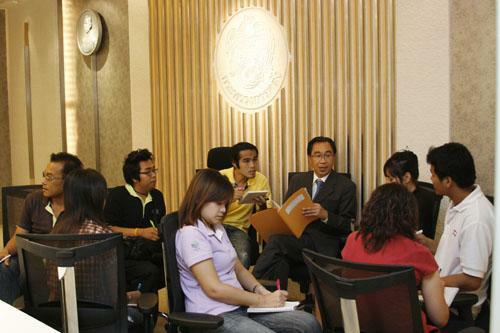 Authorities hope that the projects can be completed within one year to maximize the immediate stimulus benefits for the economy, at Vayupak 1 Meeting Room, Ministry of Finance, August 14 2009.